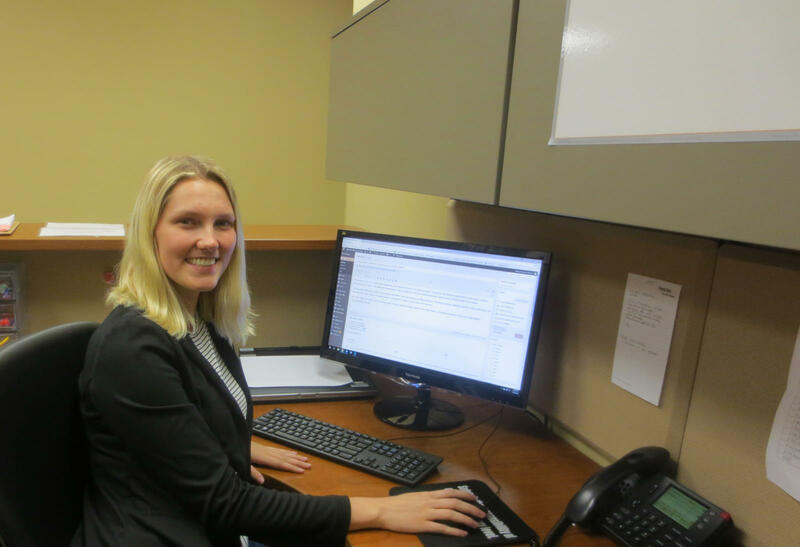 Public relations intern Alyssa Lohmann has spent her summer at Prairie State communicating with employees, owners, and the community. Lohmann has written many social media posts for Prairie State. She has also assisted in planning events such as the golf outing, scholarship program, and upcoming employee appreciation day. Lohmann appreciates that every day in public relations brings a new challenge. One of her projects has been to compose the ‘Meet the Intern’ and ‘Intern Check-In’ stories. Lohmann has written about current events around the energy campus and created graphics in Photoshop to be used on Facebook and LinkedIn. “I have learned a lot about time management. With scheduling interviews, attending meetings, and planning events, it is very important to stay organized and make sure none of these conflict.” Lohmann has also learned about utilizing online platforms such as WordPress, Eventbrite, and Sprout Social. In the fall, Lohmann will return to Southern Illinois University-Carbondale to complete her degree. She would like to have a career focused on public relations or advertising.